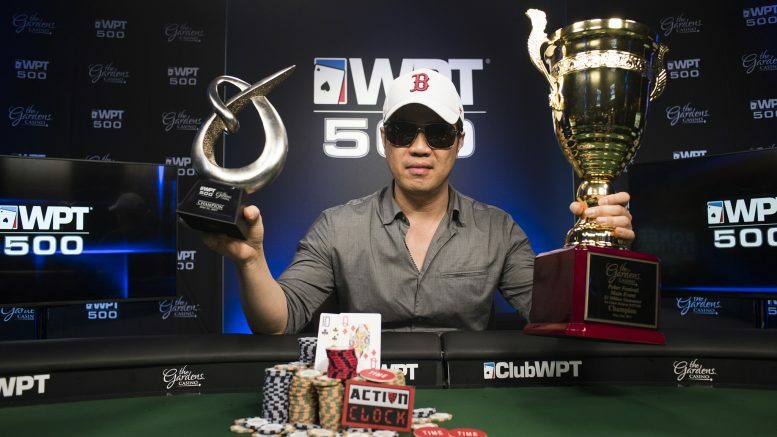 After 3 days of poker, Dong Le wins the first WPT500 in Los Angeles, taking home $224,500 for his efforts. This is the first time the WPT held a WPT500 in Los Angeles. The Gardens Casino in Hawaiian Gardens hosted this $1,000,000 guarantee tournament for a buy-in of $565. The final tally easily surpassed the guarantee after 8 days of day 1s, along with re-entries. All day one levels were 30 minutes, day 2 were 40 minutes and the final table on day 3 were 60 minutes. Be the first to comment on "Dong Le Takes Down WPT500 Los Angeles @ The Gardens"